Don't I Know It - . "Mom? 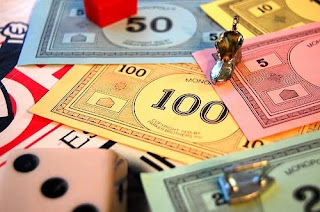 I have eleven-hundred and forty-six dollars in my Monopoly money for this game so far." "I know. I'm practicing for college. That whole college thing is coming up sooner than you think, Mom." Why can't my 7th graders think like this?! My post today is on my baby boy's seventeenth birthday. I can barely see these keys as I type. That Bob is a planner aheader, from the git. That just broke my heart a little.